The last time the Giants lost each of their first four series to start a season Ronald Reagan was President. That was 1983. 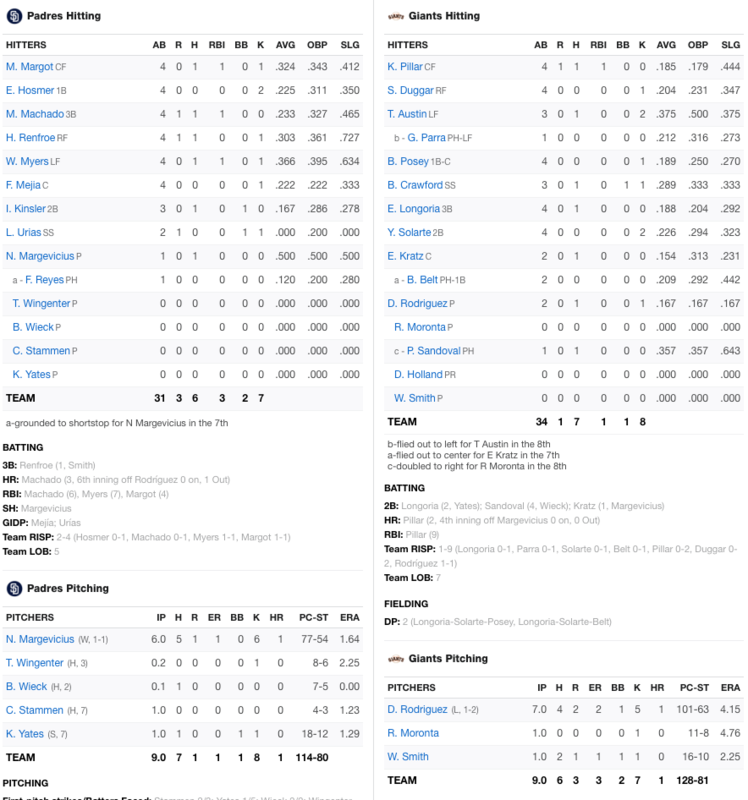 Yesterday, the San Diego Padres out-padred the Giants, winning 3-1 to take two of three games in the series and send what few fans showed up home unhappy. 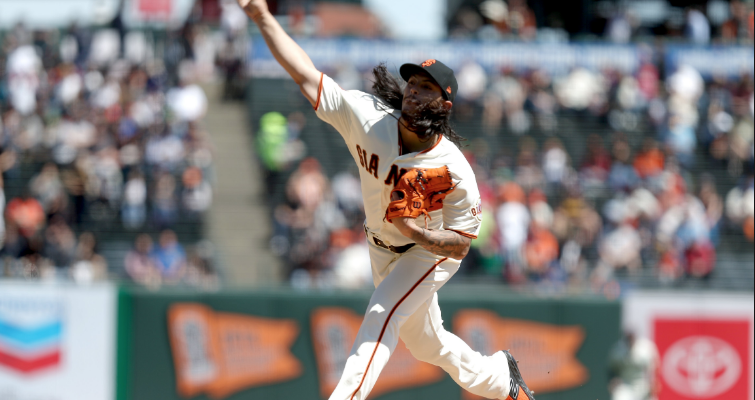 Dereck Rodriguez pitched seven solid innings allowing only two runs, one of which came on a pop fly homer of the top of the green aluminum facing on the right field wall by Manny Machado. It was a cheapie but that’s baseball. There were several moments when the game could have swung the Giants way, including opportunities in the ninth and eighth innings when the San Franciscans left tying runs on base. It was a very frustrating day, typified by Erik Kratz getting thrown out at the plate on a close play in which he failed to slide. Kevin Pillar did hit a solo homer for his ninth RBI in three games. Unfortunately, the Giants did little else at the plate. Buster Posey is batting .189 appears to be struggling to run the bases. He does not look very healthy and his swings look a bit sluggish at times. One wonders how long the Erik Kratz experiment will continue. The newly-acquired 38 years-young veteran catcher is batting a frigid .154. Aramis Garcia, our Giants Nation turns its lonely eyes to you.. This team, from a hitting standpoint, lacks slugging, lacks speed, and lacks the ability to hit for average and maintain rallies. Oh, did I mention that the Giants also strikeout plenty and are one of the worst teams in the Majors at working counts and drawing walks? There is no reason to cite statistics showing the Giants at or near the bottom of the Major Leagues in every major hitting category. That would just be mean. I’ll let Alex Pavlovic do it. He works for the team. Tonight our boys begin a four game series with the Rockies of Colorado. Jon Gray faces Jeff Samardzia. First pitch is at 6:45 Willie Mays Field time.